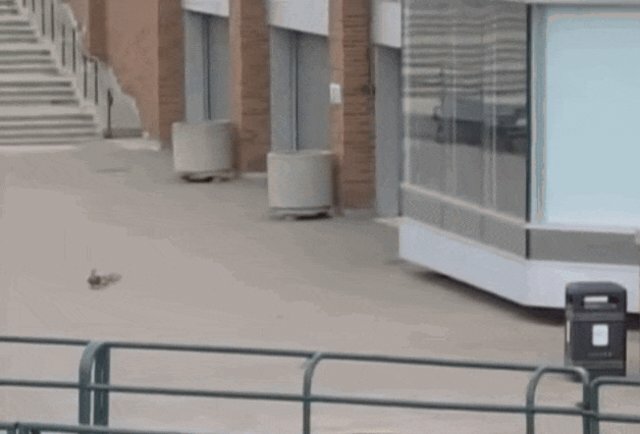 There's definitely a song about a family of ducks going out for a walk one day, but that song clearly didn't take into account how windy the world can be. ... when suddenly, the wind decided to get WAY stronger than the ducks had anticipated. The baby ducks scattered every which way, although none of them actually seemed all that concerned. "Whoa, mom! Look at us go!" 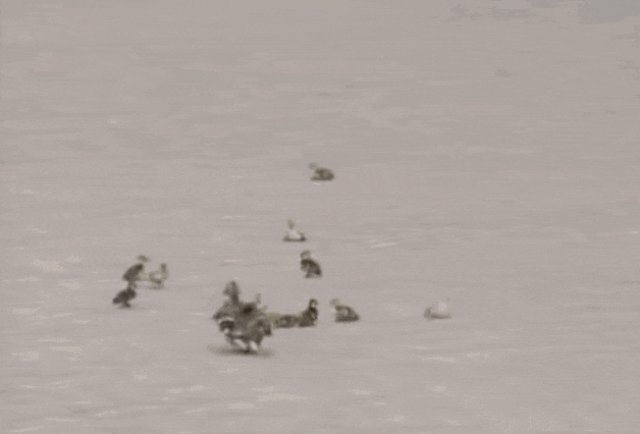 Mama duck tried to make sure everyone was OK, and she rounded them back up again ... but then SHE got swept away too! "Everybody stay calm - just roll with it!" 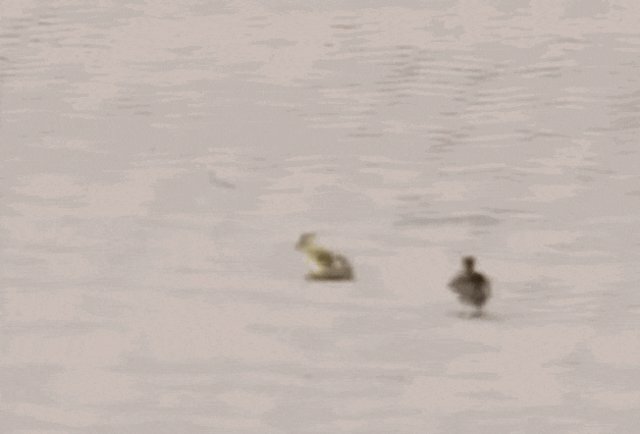 When the wind had finally died down, some of the ducklings went to check on the others, making sure everyone was safe. "You OK, bro? Wasn't that awesome?!" 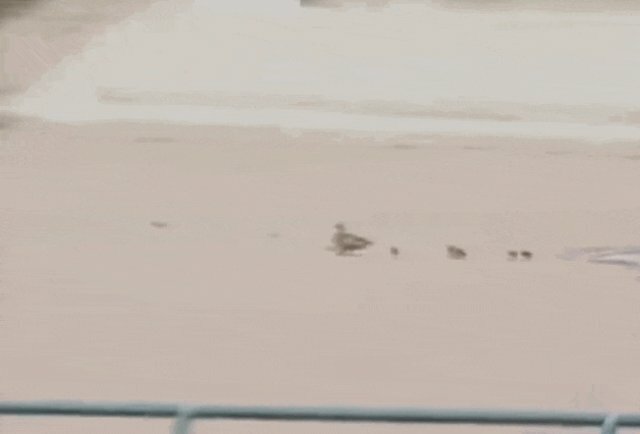 Finally, the wind stopped showing off, and the duck family was able to carry on its merry way ... in exactly the same formation as before, as if nothing had ever happened. 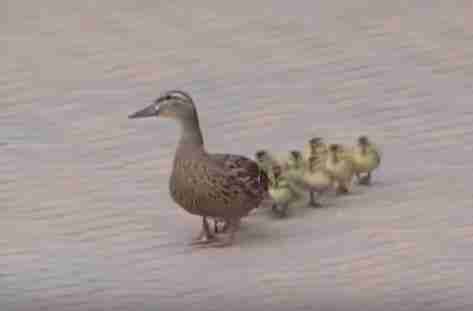 Probably not what this adorable duck family expected from their daily stroll, but, hey, what's life without a few surprises?